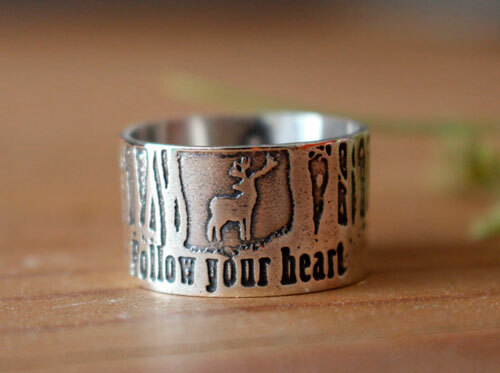 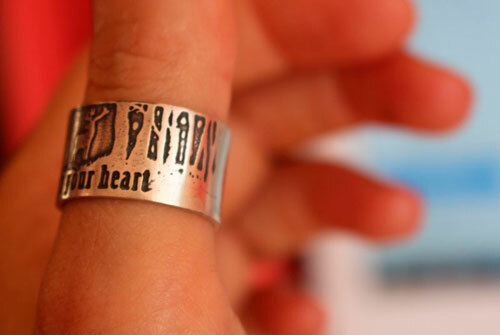 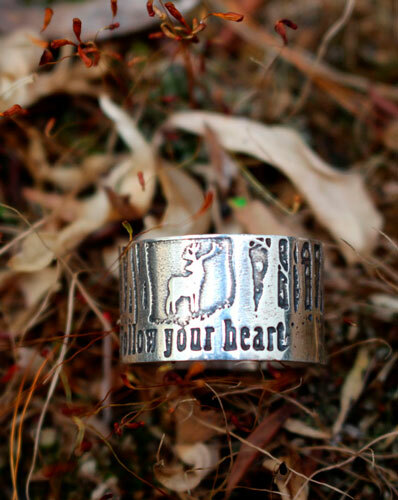 Follow your heart is an encouragement ring. 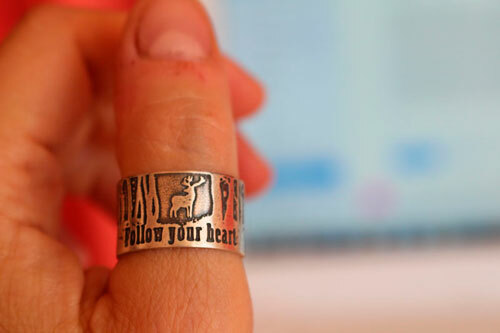 Sometimes, it is difficult to take a decision whereas it would be so easy to just follow what your heart tells you to do. 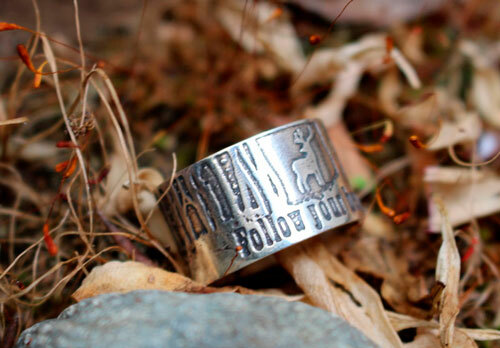 The forest symbolizes the meanders of our conscience whereas the deer is this wild animal that only follows its instinct. 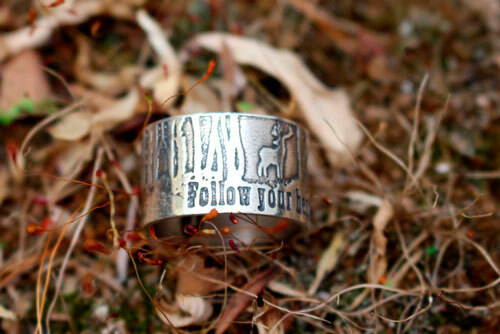 He knows when it is time to change direction. 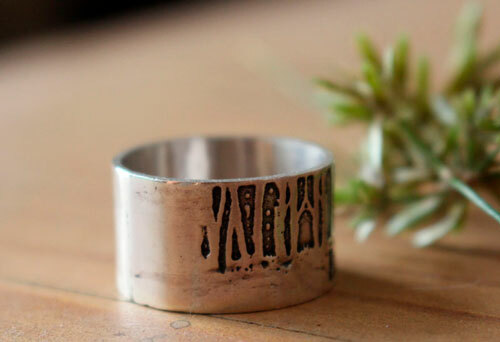 Finish: shiny and slightly oxidized. 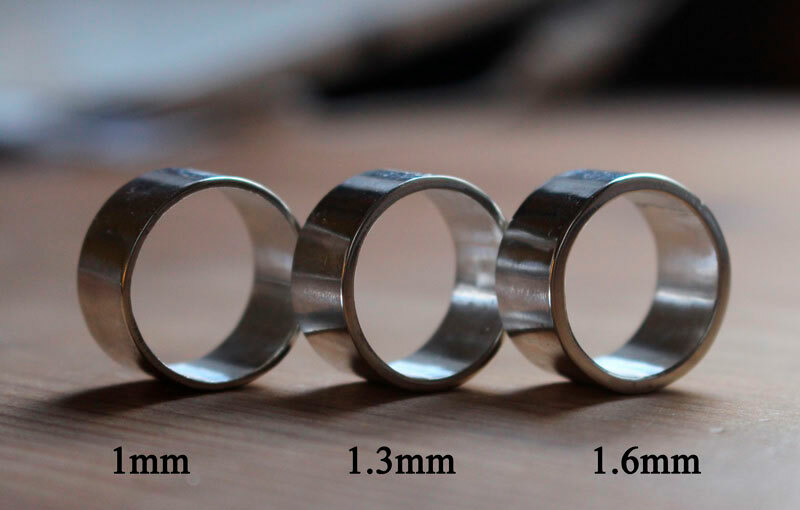 I will need 5 days to make your ring. 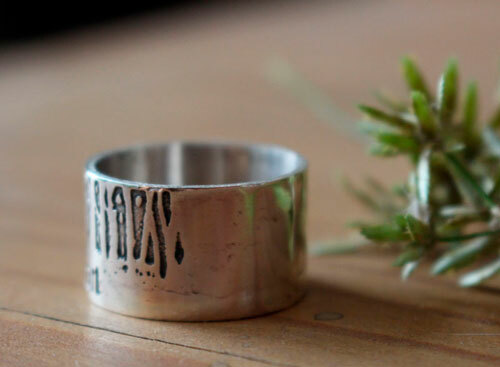 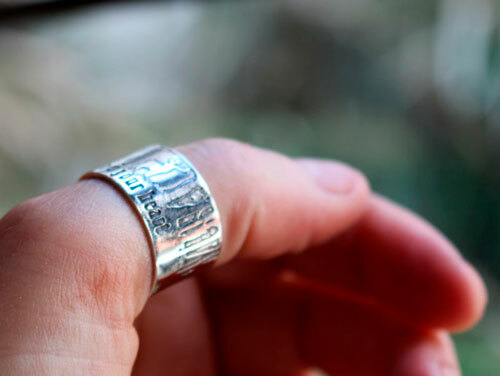 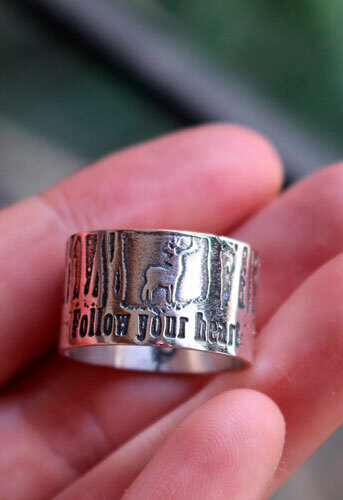 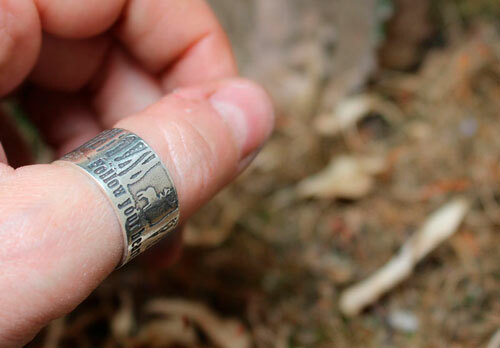 Tag: ring, sterling silver, band, encouragement, spiritual, philosophy, deer, forest, tree, silhouette, symbol, etched, engraved, spirit, freedom, liberty, boho, romantic, engagement, baptism, anniversary, birthday woman gift.